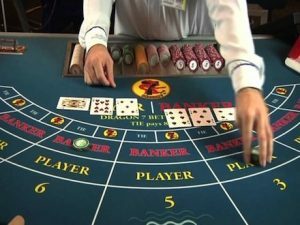 Baccarat is one of the best-known casino games out there and it can be found at virtually every online and real-world casino. 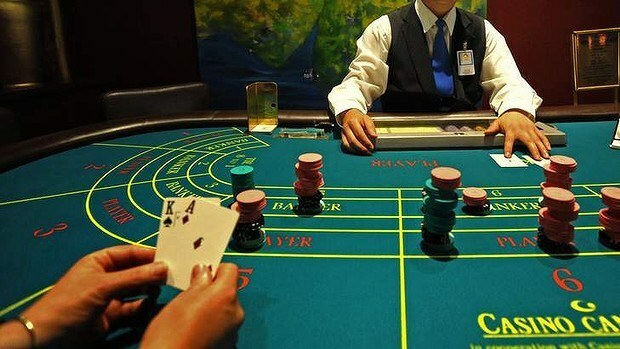 Anyone can enjoy a game of baccarat, whether he or she is a high roller or a casual gambler, and this popular table game is now becoming increasingly popular among all different kinds of players. 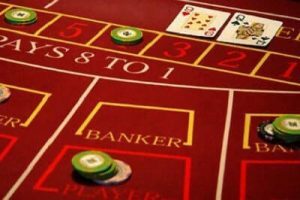 If you want to know how to win at baccarat, here are some top tips to help you to maximize your profits and get the most out of this fun game. The top tip when it comes to playing baccarat is to never make the mistake of going for the Tie bet. The game of baccarat has three betting options – Player, Banker, and Tie. However, the first two offer a house edge, which is considerably more attractive than the last. Banker offers players a house edge of 1.06 percent and Player has a house edge of 1.24 percent. The house edge on Tie is much worse, coming it at a shocking 14.4 percent. These are terrible odds and should be avoided at all costs by any serious player who would like to win. Once the Tie bet has been eliminated, that leaves punters with two options from which to choose –: Player or Banker. If in doubt, it makes sense for you to place your wager on the Banker. This is because the Banker wins just over 50 percent of the time, and that makes this a more likely option for an aspiring winner. One strategy that has been shown to be effective when playing baccarat is to start with a bet on the Banker and then continue to place bets on the Banker for as long as the Banker continues to win. This strategy is capitalizing on winning streaks, and statistically speaking, Banker bets represent the best chance for a winning streak to occur. Of course, just because there is a winning streak now doesn’t necessarily mean that it will carry on. So, it ii important to keep limits on your wagers so you don’t lose too heavily when the streak turns against you. If you have been betting on the Banker and then your winning streak comes to an end and the Player wins, it can be very tempting to leap straight into another bet. However, it is wise to hold off for at least one bet. Wait to see what comes out with the next play and then place your next wager on whoever wins your missed round. Classic baccarat is played in the high-roller room and involves the players dealing the cards themselves. Because of this, traditional baccarat is a pretty leisurely game that can take a long time to play, and often only around 40 decisions per hour. However, mini-baccarat is a very different game. 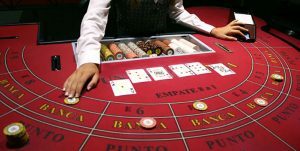 Despite having the same name and the same rules, there are two huge differences between mini-baccarat and the traditional version of the game. The first is, instead of the players dealing their own cards, the dealer is there to deal. The second difference is the speed of the game. Mini-baccarat is faster, and often much faster, with up to 200 decisions taking place at the same time as 40 in a regular version. While the minimum bets on a mini-baccarat table will generally be lower than the minimum wagers on a standard game, the fact that there are considerably more decisions will often mean that if the game goes against you, the financial consequences will be devastating. The best strategy for playing mini-baccarat is to adopt a Banker-only wagering system. This is very simple and merely involves betting repeatedly on the Banker until his or her winning streak runs out. You should then avoid placing any further bets until the Player next loses, then you place the next wager on Banker once again. In theory, this will effectively half the number of decisions that you face, and will also, in theory, half the amount of money that you can expect to lose. One of the most recommended baccarat strategies is to act as if Tie bets don’t count at all. For all intents and purposes, it is as if every Tie bet is invisible and is just a break in the gameplay. For example, if the sequence of decisions runs: Banker, Banker, Banker, Tie, you should act as if there was no Tie at all, and continue to place your wagers on Banker. This strategy is in direct contrast to the “Wait It Out” tip, and represents another option for adventurous players. If you would prefer, instead of waiting for one decision before placing your next wager after the Player loses to the Banker, you should immediately bet on the Banker. This is an interesting alternative to waiting and has also been proven to be an effective choice. However, if the Banker immediately loses again, it is wise to leave this strategy alone and immediately return to the Wait It Out tip. Excellent money management is important regardless of which casino game you’re betting on. However, with baccarat it’s especially vital. This is because, essentially, there is no skill involved in this game and you are pretty much just betting on a toss of the coin. This means that baccarat is a very tight game. 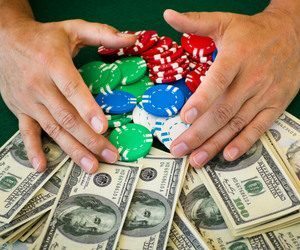 While you may be lucky and get on a long-running winning streak, you could equally be unlucky and end up on an ongoing losing streak that could see your bankroll decimated in no time. The best way to avoid this is to set yourself a maximum number of units per session. For example, if you are betting 10 units for each decision, you should consider setting yourself around 200 units per session on your bankroll. If it ends up all being lost, you should definitely stop and take a break – and not just a mini-break, a long one. Instead of just leaping straight back in to place yet another wager, take some time out for a walk, a nap or just to do something else before you return to the table. Perhaps you’ve already had some decent winnings and you’re not quite ready to quit so early, although you definitely want to leave your gaming session as a winner, you should half your winnings and just use that amount to continue playing. If you lose that half, you still have half your money to collect before you take that break. Baccarat is a fun and simple game that anyone can enjoy. In a live online casino version or in a real-world casino, it can be a great game during which to socialize, too, especially if the other players are friendly and up for a good time. 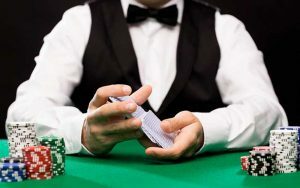 However, it is important to remember that, because baccarat is a game of chance and not skill, you could just as easily lose as win, and taking care with your bankroll is paramount.